Ejemplar de 36 páginas que presenta una aventura de Wonder Woman titulada: 'The Man Who Mastered Woman'. Historia: Len Wein. Arte: Curt Swan & Tex Blaisdell. 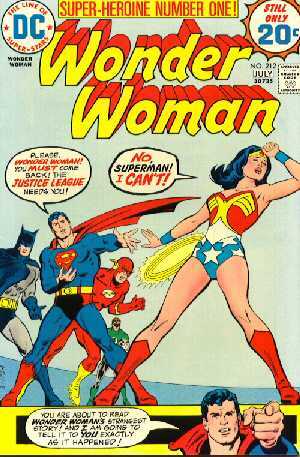 36 pages issue that presents a Wonder Woman adventure entitled: 'The Man Who Mastered Woman'. Story: Len Wein. Art: Curt Swan & Tex Blaisdell.